Disney's new Star Wars movies are proving incredibly divisive among fans, in particular The Last Jedi, but things apparently wouldn't have been much different had George Lucas held on to Lucasfilm. 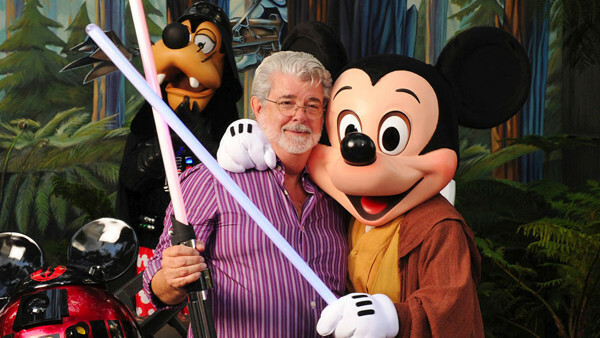 Back before he sold the company to the Mouse House in 2012, Lucas was drawing up plans for his own sequel trilogy, which would've involved both the old heroes, including a love interest for Luke Skywalker, and a new wave of characters that were set to be teenagers. "If I'd held onto the company I could've done it [seen the story through to its end], and then it would have been done. Of course, a lot of the fans would have hated it, just like they did Phantom Menace and everything, but at least the whole story from beginning to end would be told." Lucas isn't wrong, really. The prequels were mostly rejected by Star Wars fans, although opinion has shifted slightly in the years since they were released, and the saga looked dead until Disney came along. Even they, though, haven't been able to please everyone, with both Solo and especially The Last Jedi angering and upsetting large sections of the fanbase. "[The next three Star Wars films] were going to get into the microbiotic world. But there's this world of creatures that operate differently than we do. I call them the Whills. And the Whills are the ones who actually control the universe. They feed off the Force." The name Whills has appeared in Star Wars before, although not in the form of alien creatures - instead, we saw the Guardians of the Whills in Rogue One, while Lucas' original title for Star Wars was Adventures of Luke Starkiller, as taken from the Journal of the Whills, Saga I: The Star Wars. Given how people have reacted to changes regarding the Force in the new movies, as well as the midi-chlorians in the prequels, Lucas' assumptions were probably correct. Would you have liked to have seen Lucas' sequel trilogy? Let us know down in the comments.